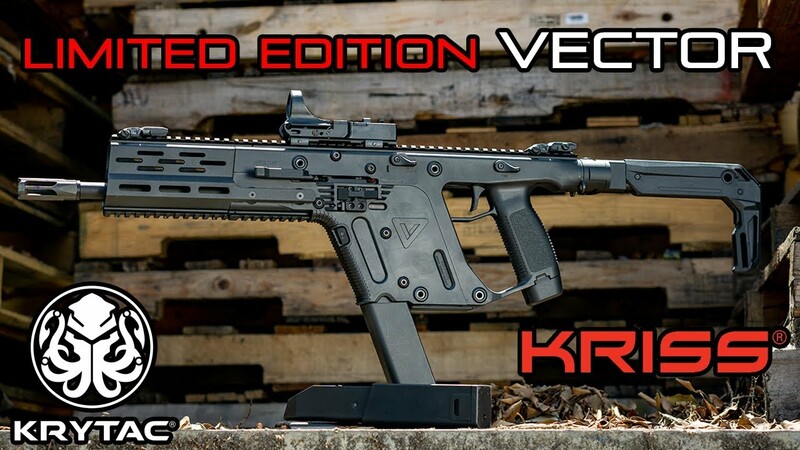 Worldwide production of the KRYTAC KRISS Vector AEG Limited Edition is restricted to 3000 units. Limited Edition AEGs will feature a unique serial number identifier and will be accompanied with a certificate of authenticity. The KRYTAC KRISS Vector AEG is the only Vector airsoft replica that is officially licensed by the original firearms designer and manufacturer, KRISS USA. 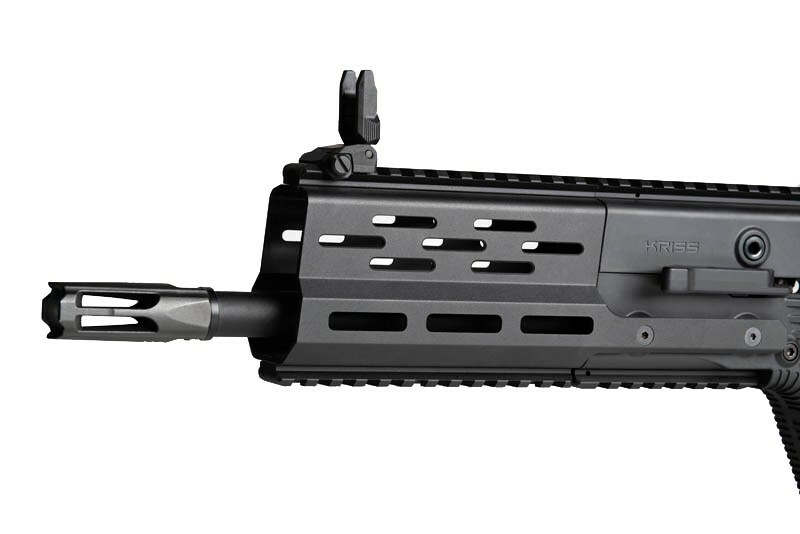 The Vector Limited Edition features an M-lok hand guard designed specifically for the AEG. Milled from a lightweight and durable aluminum alloy, this hand guard features three M-lok slots on the left and right side for the easy mounting of your favorite M-lok accessories. The Limited Edition Vector AEG features the latest evolutions of the platform with this extended battery cap allowing for more space for your battery and wires. 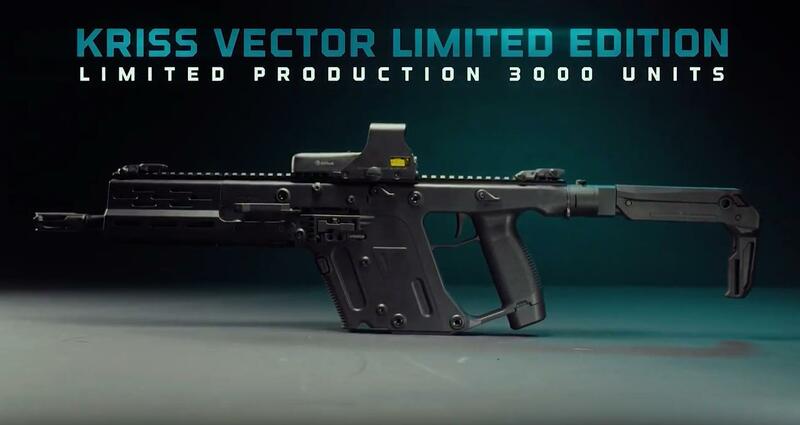 The Ambidextrous Folding Stock featured on the Limited Edition is a new and improved design for the KRISS Vector firearm. 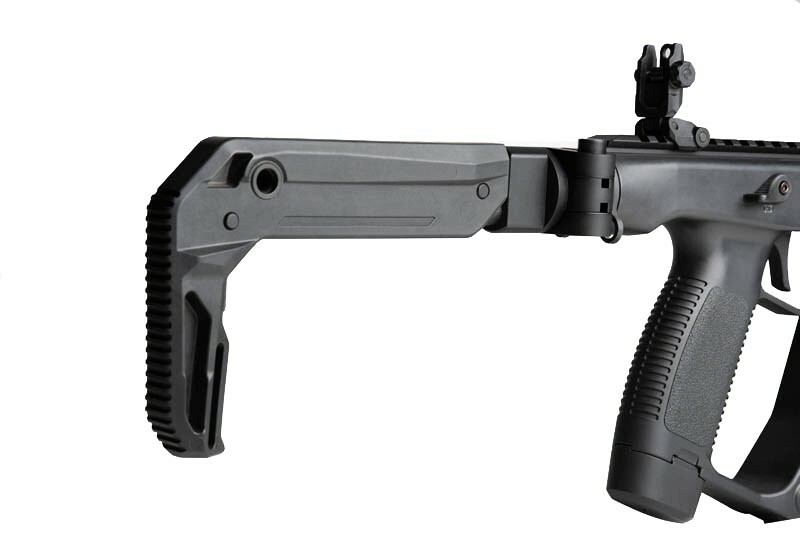 The stock folds and extends, and it can be configured to fold to either the left or right side. 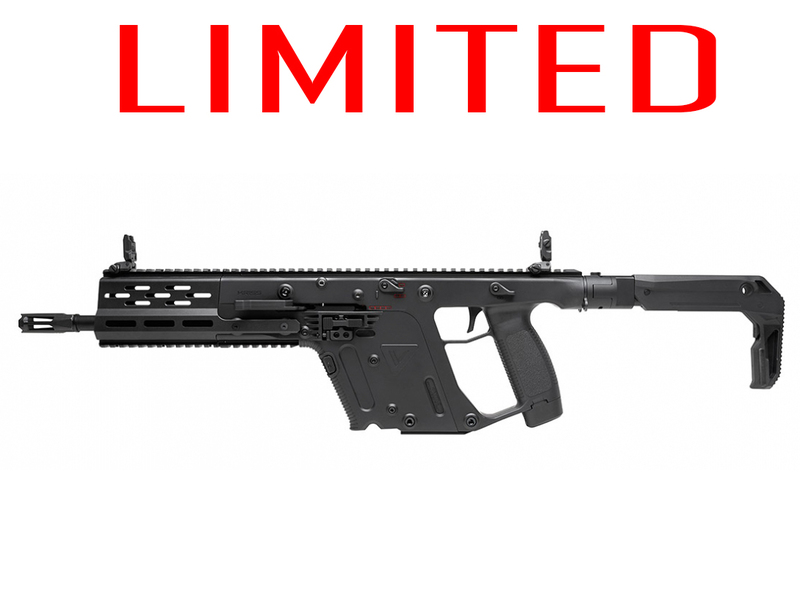 What is normally a USD$229.99 accessory for firearms is a standard feature on this Limited Edition AEG. The KRYTAC KRISS Vector AEG Limited Edition differs from its standard production counterpart by utilizing the KRISS Vector GEN II 2017 one piece upper receiver. 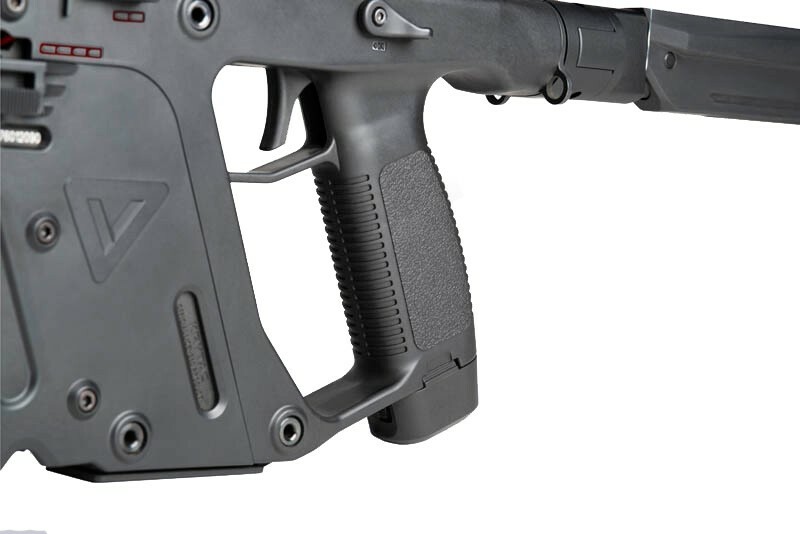 To the rear of the receiver is the new KRISS Vector Ambidextrous Folding Stock, which can be configured to fold to either the left or right side, and is telescopic, adjustable to three positions. The stock also features two quick detach sling swivel points as well as a sling loop to accommodate a variety of sling attachments. Beneath the pistol grip is a new extended battery cover, which adds 14 cm3 to the battery compartment. To front of the KRYTAC KRISS Vector AEG Limited Edition is an extended barrel, allowing for a 280mm inner barrel. The longer barrel is surrounded by an all new M-lok modular hand guard. 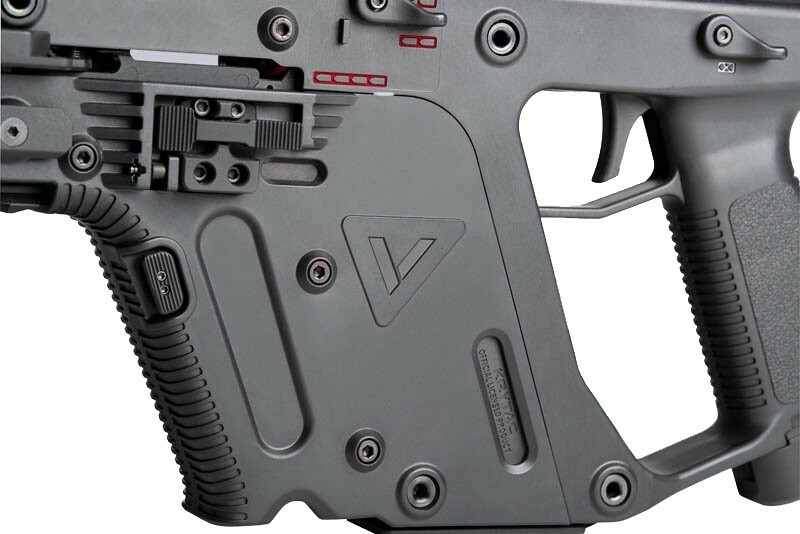 Internally, the AEG is powered by the same vertically oriented mechbox as the standard KRISS Vector AEG.